Research by a team of UK scientists is challenging the age-old belief that life can only be created by fusing a sperm with an egg. The landmark research by the University of Bath rewrites 200 years of biology teaching and could pave the way for a baby to be born from the DNA of two men. The researchers used chemicals to trick an unfertilised egg into becoming a pseudo-embryo. These “fake” embryos share much in common with ordinary cells, such as skin cells, in the way they divide and control their DNA. 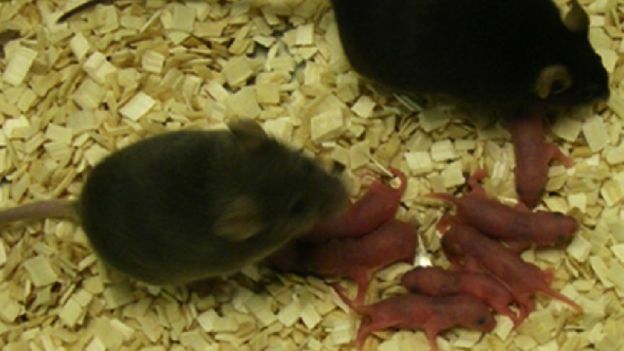 The scientists reasoned that if injecting sperm into mouse pseudo-embryos could produce healthy babies, then it might one day be possible to achieve a similar result in humans using cells that are not from eggs. Although the researchers began with an egg cell for the experiment, they do not believe it is required to spark the same development. In theory, the technique should work with any cell in the body as long as half the chromosomes are removed first to allow them to fuse with the sperm’s chromosomes. The so-called motherless technique raises the possibility that two men could have a child, with one donating an ordinary cell and the other, sperm, although a woman would still need to act as a surrogate. Or one man could have his own child using his own cells and sperm – with that child being more like a non-identical twin than a clone. More realistically, the technique could potentially allow women whose fertility has been wiped out by cancer drugs or radiotherapy to have their own children. The researchers are planning to test out the theory using skin cells.